The decision could spur Republicans in Texas to seek leadership positions. Fundraising in the state and elsewhere could also be affected. 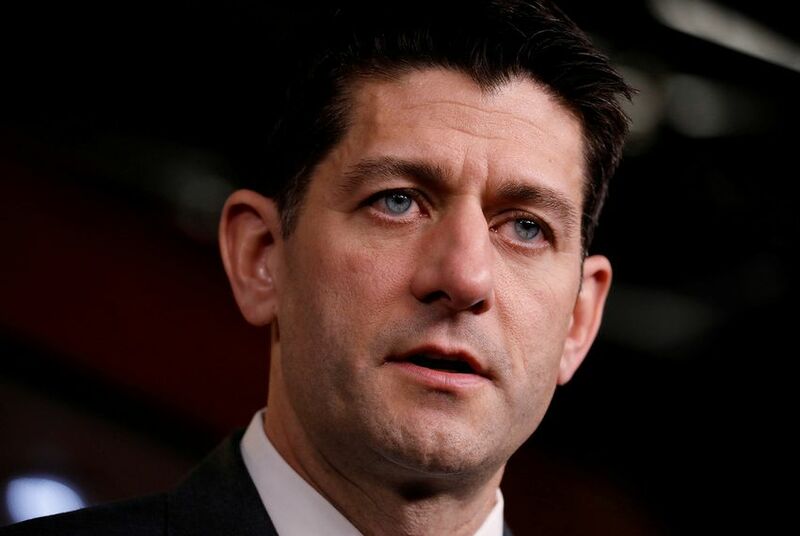 WASHINGTON – U.S. House Speaker Paul Ryan announced he would retire from Congress at the end of this term Wednesday morning, a move expected to have far-reaching political implications for this year's midterm elections and the Republican Party's future leadership in Congress. Ryan pointed to his young family as the reason for his retirement. "What I realize is, if I am here for one more term, my kids will have only known me as a weekend dad," he told reporters on Wednesday. Axios first reported the news, which could have consequences for politics within the state of Texas. Should Republicans hold the House, the retirement will open up a leadership slot, which some Texans in the congressional delegation might eye. "He's going to be hard to replace," said U.S. Rep. Ted Poe, a retiring Republican from Houston who was once roommates with Ryan. "I think there is a lot of wisdom leaving Congress this year, people who really get along quite well with each other in parties," he added. "It's rare to see that many people, in my opinion, with that much wisdom all leaving in the same year." The announcement did not set off the kind of pandemonium that has followed past announcements of changes in leadership. Most on Capitol Hill were already expecting Ryan to retire, but not until after the November elections. And the race to succeed him – possibly between U.S. House Majority Leader Kevin McCarthy of California and U.S. House Majority Whip Steve Scalise – had already begun to take shape. But it is a concrete reality now. And how that race and a number of other shifts in power throughout the conference could affect Texans' ambitions – including the bid of U.S. Rep. Kay Granger of Fort Worth to lead the U.S. House Appropriations Committee – will be front and center in members' regional considerations. Along with Granger's potential bid, U.S. Rep. Pete Sessions, a Dallas Republican, was eyeing the majority whip slot if it opened when former U.S. Speaker John Boehner retired in 2015, but that race didn't come to pass. The powerful speaker's position opening is contingent on the GOP holding the House. But Sessions, who once ran the House GOP's campaign arm, shut down such talk about future leadership races at afternoon votes on Wednesday. "I think that this announcement comes at a time that could create a scenario two different ways," Sessions said. "Number one, it could create a scenario that people start running for something that we haven't won; and two, it sets a trajectory where people are out stumbling over each other to prove who's good or better rather than following a succinct plan." "I think we ought to keep our powder dry," he added. "I think we should go do what we're going to do and that every member should be cognizant that until we win we haven't won." It is hard to underscore how much of a blow to Republican unity this retirement could bring to an already-divided conference. While conservatives frequently criticized Ryan, he was widely viewed as the lone member who could hold the conference together. Ryan is a prolific fundraiser and, by retiring, will lose much leverage on that front. The money he raises across the country largely goes toward television advertising to help vulnerable incumbents. This cycle, that money could potentially go toward the three Texas Republicans that Democrats say they are targeting most aggressively in the fall: Sessions and U.S. Reps. John Culberson of Houston and Will Hurd of Helotes. At the news conference, Ryan suggested that his retirement would have no effect on individual Republican members' races. Privately, Republican strategists are deeply unhappy with the news. The tradition is for a speaker to run for re-election and resign after the midterms, setting up a special election in their home district. Ryan said at the news conference that he viewed such a move as being dishonest with his constituents and his "conscience could not handle going out that way." The speaker just completed a multi-million dollar fundraising swing through Texas that also included a retreat with about 100 GOP donors. "I think it's a signal that Speaker Ryan thinks things aren't going well for the 2018 midterms," said U.S. Rep. Joaquin Castro, D-San Antonio. "On some level, it's no surprise the president's party will take a hit, but I think they're expecting a very big hit in November of 2018, including in places like Texas." U.S. Sen. John Cornyn, the Senate majority whip, saluted Ryan as an "extraordinary human being," noting the speaker had taken the job "not as a personal ambition but out of a sense of duty." "I don’t begrudge his decision at all, although I do think this creates another element of uncertainty in the lead-up to the 2018 election, and of course there’s going to be a lot of jostling for his successor," the Texas Republican told reporters on a conference call.